Just returned from two days and a long night of planning and organizing events for this year! Great job TRRC Board Members for the creative and innovative ideas! Can’t wait to see the results! Two Rivers received some incredible news! 3. We won a Program Grant to have an author event. 4. We also won first prize for the Membership Drive Display! Below is the display we whipped up last night in the room. IRC 2014 Spring Convention Update! 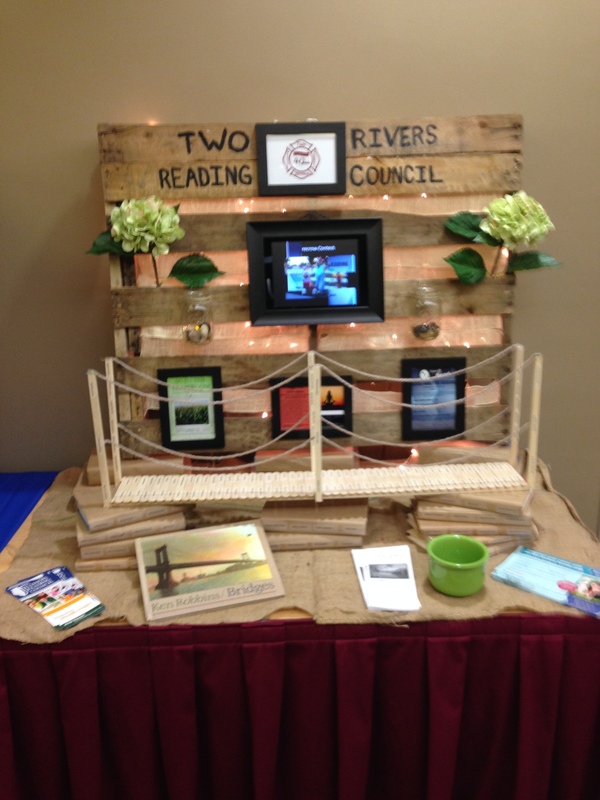 TRRC has received the first place award for our Building Bridges to Literacy Display! Great Job Ladies! IRC Conference- First Place Winners! Check out how we are growing! New Pages to TRRC: Illinois Reading Council Page will give you information for all the events through IRC and the IRC Annual Conference! Welcome back to school! I hope you have all survived the heat wave! Let’s hope September brings cooler temperatures. 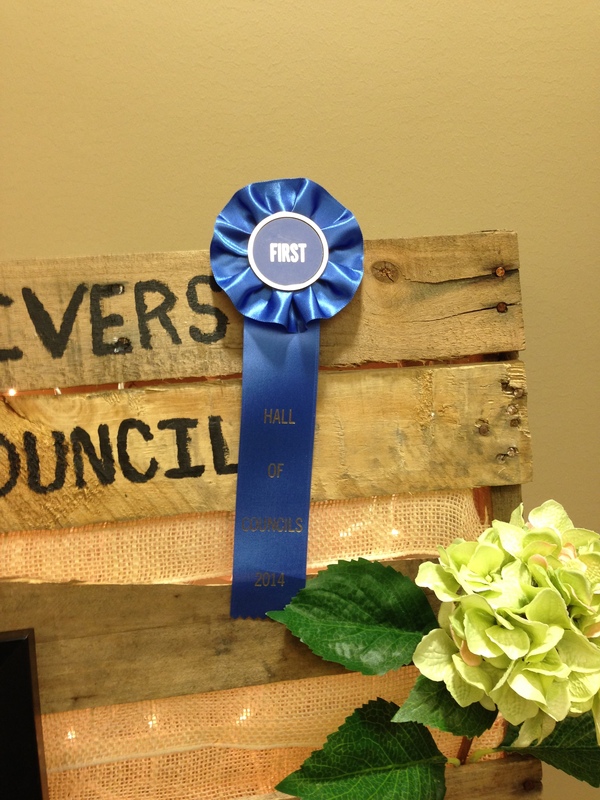 Did you know that this year TWO RIVERS READING COUNCIL celebrates 40 years as your local reading council? Come and celebrate all year with us as we bring you events that are fun and help meet the Common Core Standards. I am excited to share with you that we’ve already held our “Thanks for REPresenting” dinner at Monicals Pizza. 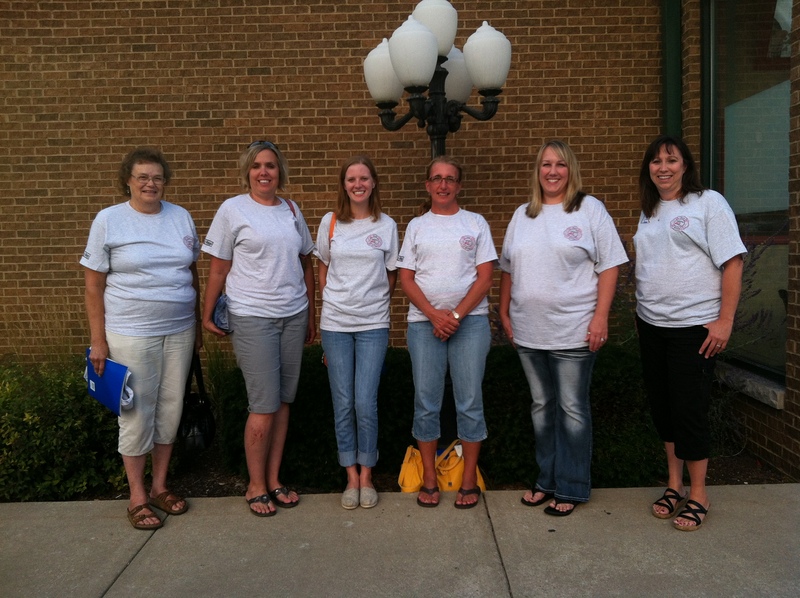 This year we held two dinners….one in Kankakee County and one in Iroquois County. We passed out information about our Fire It Up Membership Contest, TRRC brochures with the years events listed, and flyers for our fall events. We still have schools that need representation. If you’d like to be a Two Rivers Reading Council Representative at your school please contact me at trrc5@hotmail.com. We try to treat our TRRC Reps very well…dinner, t-shirts, FREE admission to events, etc. We would LOVE for you to become actively involved with your local reading council, TRRC! We always need volunteers to help make phone calls, set up and work events, organize snacks/drinks, obtain raffle items, disseminate information, etc. If you are wanting to become ACTIVELY involved in TRRC then this is the year for you! Contact trrc5@hotmail.com to see what you can do! Sept. 19, 2013 (Thursday) from 5:00-6:30 p.m. AG IN THE CLASSROOM (K-4), presented by Lisa Habeeb at the Bradley Public Library. Sept. 23, 2013 (Monday) from 6:00-7:30 p.m. AG IN THE CLASSROOM (K-4), presented by Danielle Gerndt at the University of Illinois Extension Office in Onarga, IL. October 8, 2013 (Tuesday) from 5:30-7:00 p.m. CLOSE ANALYTIC READING (3-8), presented by Tricia Nagel at Bradley West Media Center. There will be food, drinks and Teacher Resource raffles! 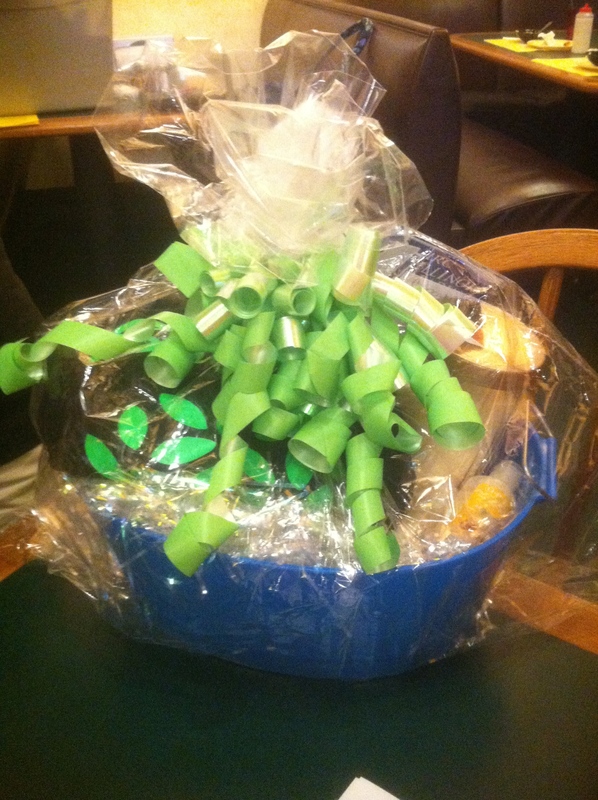 Raffles are $1 each or 6 for $5! Come get involved and support your local reading council! Post flyers for more information or hang it up in your school or teachers’ lounge. All events cost $10 for members, $15 for non-members, $5 for students. Please make checks payable to TRRC. Payments may be mailed to c/o Julie Steinke 1517 Merlin Road, Bourbonnais, IL 60914. Please email trrc5@hotmail.com to reserve your spot. Great speakers are scheduled to inspire, motivate and prepare you to face the changes we continually face in education. Sign up today!